As a company committed to society, Eurofrits develops many actions within the area of its Corporate Social Responsibility (CSR). Today we are happy to share with you the best images from the latest initiative: the sponsorship of the Polígono Industrial de Villalonquéjar “Memorial Jesús Echevarrieta” Popular Fundraiser Race, organised by the AEPV (Villalonquéjar Business Park Association), which took place in Burgos on May 28th, and the money collected was donated to the Burgos Association of Families Affected by Multiple Sclerosis Association. The 3rd edition of this fundraiser was an utter success, with over 850 participants, with the collaboration of 150 runners with a number 0 shirt. This year the event introduced race chip control and childcare for the youngest. Also an Enterprise Challenge Award was established with the objective of increasing local participation of workers in the industrial park. 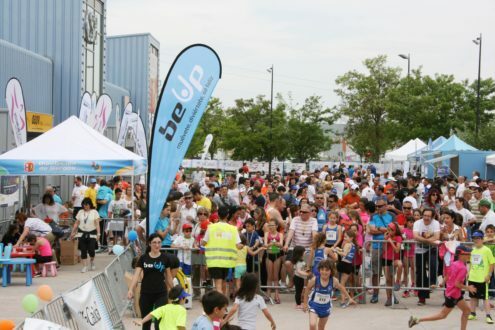 Organised with support from the AEPV and with technical assistance of UBU Campos de Castilla, the race took place in a 10Km. urban circuit and featured some of the most prominent local athletes, which finished in the higher part of the final ranking. 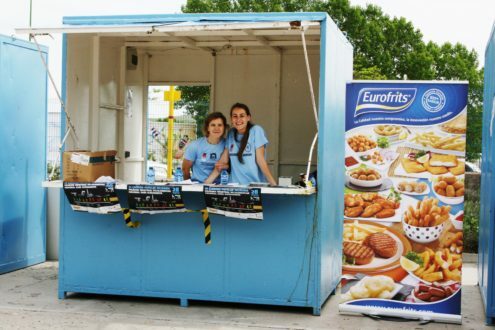 Eurofrits collaborated in this fundraiser initiative as an event sponsor with financial support as well as providing snacks for participants, who could recover strength after the effort with our ham croquettes and our chicken pops. The Burgos Association of Families Affected by Multiple Sclerosis Association will invest the proceeds in a rise in the hours of weekly therapy for their users. Eurofrits feels proud to have contributed our part in the fight against a neurodegenerative disease that affects around 600 people in Burgos. 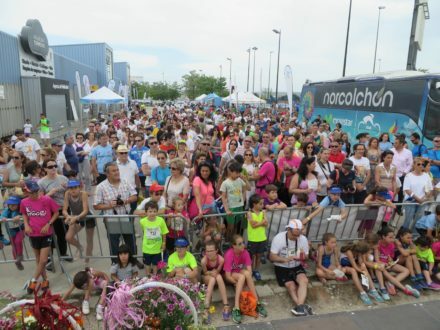 Over 850 runners participated in the 3rd Memorial Jesús Echevarrieta. Runners recovering after the race with Eurofrits products. The Eurofrits corner in the Race. FOR More information on AEPV, click HERE.